The best way to engineer a fish frenzy with artificial lures it to cause a commotion in the water. Meet the new Commotion Shad from LIVETARGET Lures. 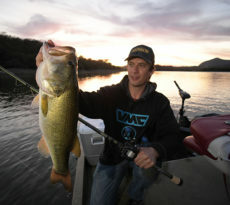 Niagara-on-the-Lake, ON – Catching fish on topwater lures is among the most exciting experiences enjoyed by contemporary bass anglers. A consistent, rhythmic, or even stealthy presentation sometimes triggers the most surface bites. Under other conditions, however, it’s best to cause a commotion: fish big, throw water, and make plenty of noise. Building upon their heritage in crafting the most realistic lures available, and their dominance in the arena of hollow body topwater research and development, the artisans at LIVETARGET unveil an entirely new topwater lure design, one that’s destined to cause a commotion. LIVETARGET’s new Commotion Shad couples an ultra-realistic, shad profile hollow body topwater to a free-wheeling spinner blade tail. 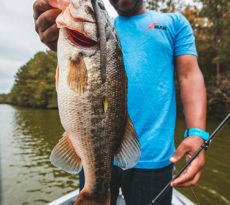 Precision balanced and tuned to fish slow and steady, or fast and furious, the Shad Commotion is ready to turn the heads, and open the mouths, of bass and other freshwater apex predators. The revolutionary new Commotion Shad draws from LIVETARGET’s experience in designing the most realistic, and effective, hollow body topwater lures. Indeed, four ICAST New Product Showcase trophies for their Hollow Body Frog, Mouse, Sunfish, and Mullet exemplify LIVETARGET’s dominance in this category. The Commotion Shad’s body bristles with three-dimensional, anatomically accurate features including scales, pectoral fins, gill plates and eyes, providing not only lifelike detail, but also depth and texture to the body as it swims. A library of six biologically-inspired color patterns completes the visual deception, making it possible for anglers to Match-the-HatchTM on their favorite waterbody. Anglers are sure to be impressed with the Commotion Shad’s ultra-high hook up ratios! The Commotion Shad’s soft hollow body collapses effortlessly on the strike, exposing the attacker to the full lip-piercing and fish-holding power of the lure’s custom hook configuration, which are pointed upward and angled just a bit away from the body. 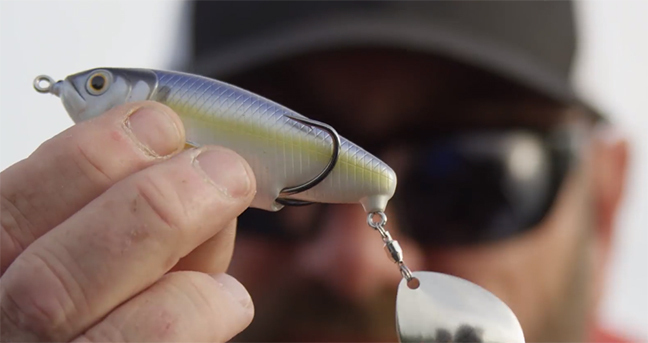 The party gets rolling in the tail section of the Commotion Shad, where a custom-designed Colorado spinner blade is linked to the lure’s hollow body through a robust, smooth-turning swivel. Work the Commotion Shad with a series of twitches and jerks to elicit an erratic “plunk” sound from the tail blade, while a straight retrieve produces both sound and a visual bubble trail, helping predators to locate and attack the bait from long distances. Operating in unison with the lure’s ultra-realistic, shad profile hollow body, this spinner blade causes an irresistible commotion! While LIVETARGET’s new Commotion Shad was designed with the bass angler in mind, it’s an equal opportunity employer, especially on pelagic species like striped bass, wipers, white bass, and other open-water feeders in freshwater and salt… Present the bait where you would cast a walk-the-dog hard bait, and watch your catch rates soar. The easily-fished Commotion Shad performs best on a straight retrieve, maximizing its sound, vibration, and flashing tail blade. A lifelike emulator of a juvenile shad struggling for survival at the surface, the Commotion Shad is equally effective for tempting toothy apex predators, too, like musky and pike, as it is with bass. Don’t say we didn’t warn you! The LIVETARGET Commotion Shad is available in two lengths and weights (2 ½” and ½ oz oz; 3 ½” and 5/8 oz) and six biologically-inspired color patterns (154 Pearl Ghost, 155 Silver Flake, 156 Glitter Blue Shad, 157 Metallic Moss, 158 Pearl Blue Shad, and 159 Metallic Violet Shad), making it easy for anglers to select the perfect lure for their favorite body of water. The Commotion Shad will be available early winter 2018 with an MSRP of $14.49.